If you haven’t noticed by now, I am a museum nut! I will go to every museum possible on a trip. Now, I am not a spend hours in them kind of person. I am a big believer in art fatigue and information overload. If I spend too long in a museum, I begin not to appreciate what I see. That being said, I still love them. 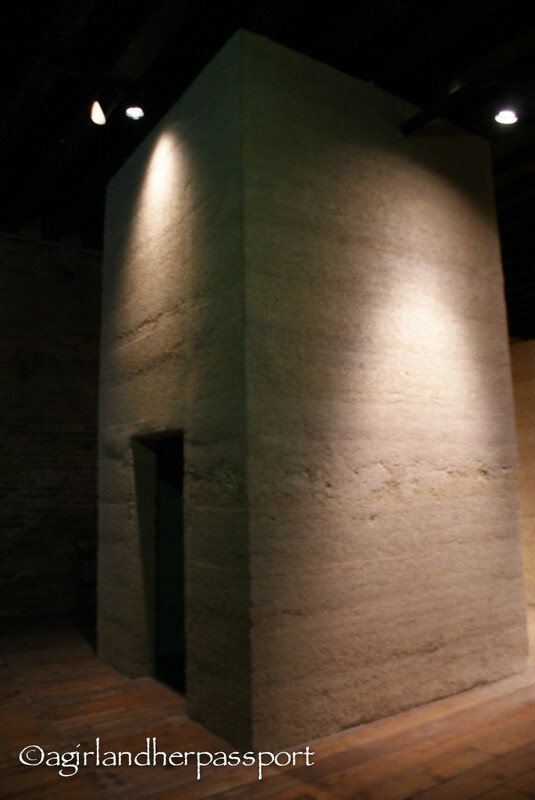 Museo Fortuny in Venice was no exception. 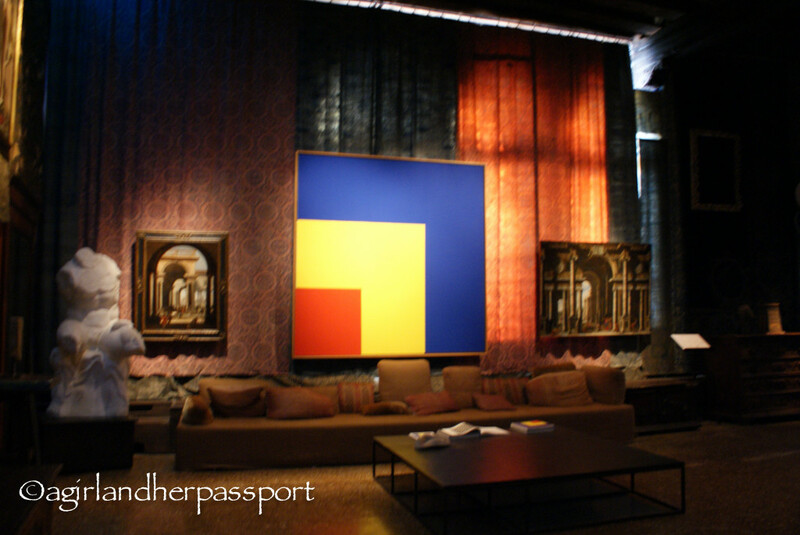 So in an effort to see one more museum, I took off to Museo Fortuny the morning of my flight back to Qatar. I knew I had just enough time to get to the museum when it opened and spend an hour there before I needed to return to my hotel to collect my luggage and haul myself to the airport. Once again, I hadn’t done tons of research on this museum. 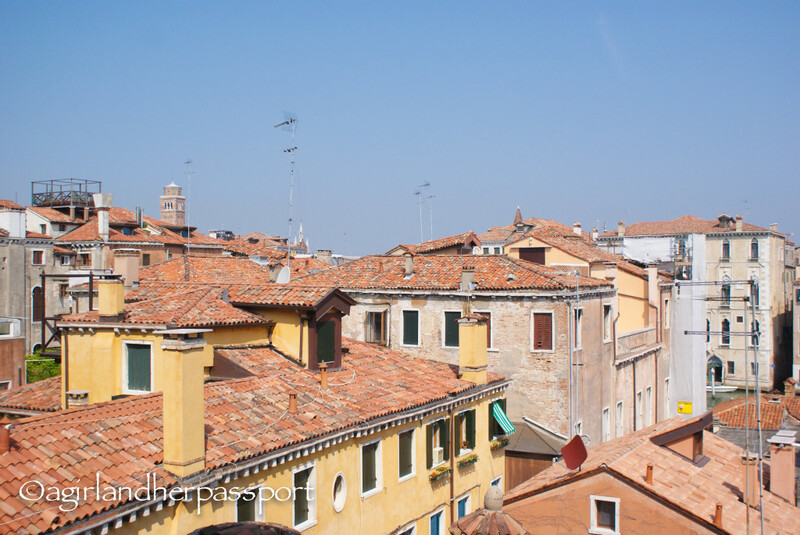 I had just read about it in the guidebook and saw a banner for it on one of my strolls through the narrow streets of Venice. 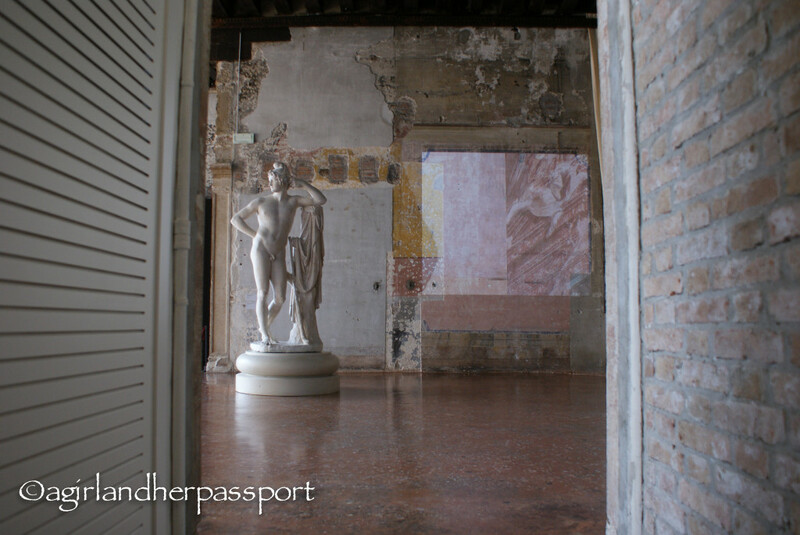 I did not know that Museo Fortuny was only open when they have a temporary exhibit installed, which the guidebook did not mention. It was a good thing that the museum was running the exhibit “Proportio” to run concurrently with the Venice Biennale. The exhibit was designed to explore the sense of proportion in art. The pieces ranged from small building size to miniature models. Other pieces felt like they were giving you a sense of the rooms proportions. 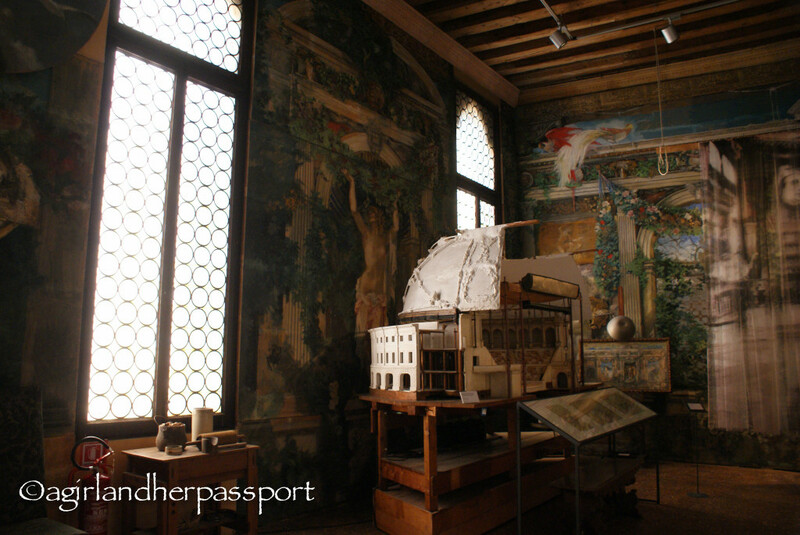 The exhibition was amazing, and every floor brought a new sense of proportion and feeling to the rooms that they inhabited. My favorite was the all white room that had very minimal art in it. That being said, I must have been too mesmerized by this floor as I only took two photos in this room. One photo is the one below of that is of the windows with the white curtains. 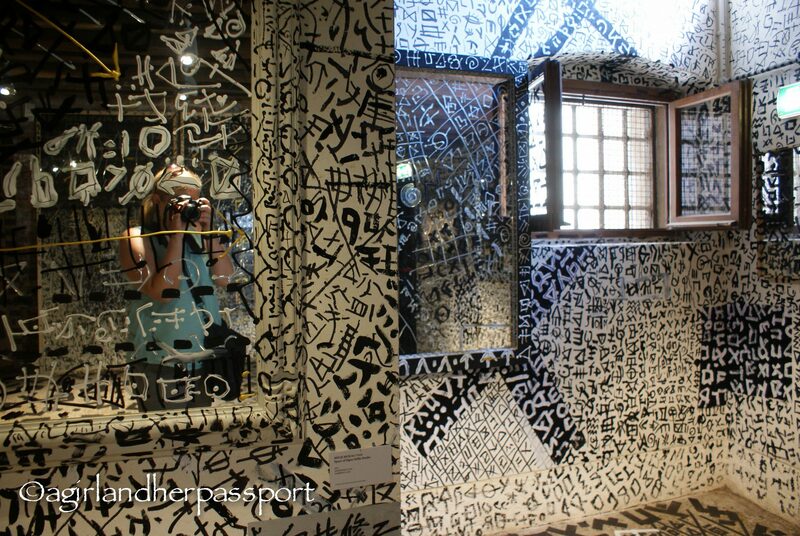 The room with the mirrors and the writing on the walls is the “Selfie Studio” and you can see me taking the photo in the mirror. I really wish the museum was open during non-temporary exhibit times with it’s own collection. The description on the website and the pictures I have seen online look amazing. Apparently, Fortuny had a great collection of fashion, textiles, photos and paintings. I particularly love historic fashions and would have enjoyed seeing those. The website does not explain why the permanent collection is never exhibited though. I will have to watch and see if they ever plan to do so. 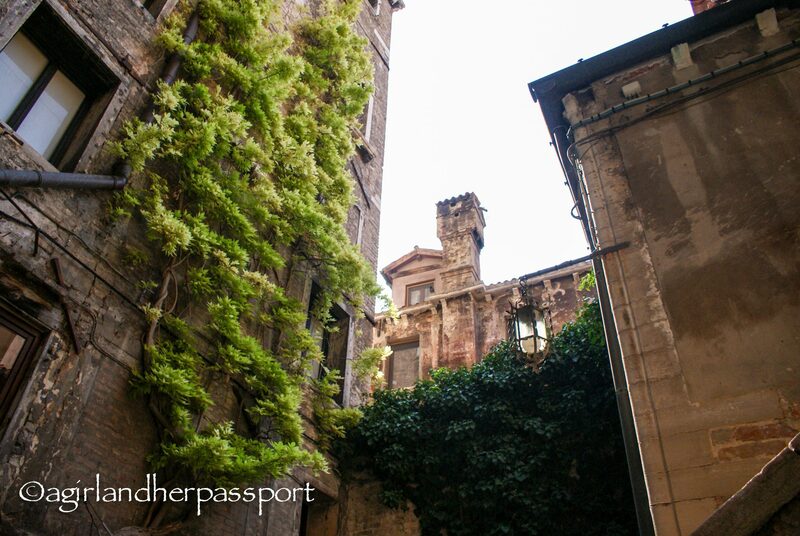 The museum also had some amazing views from the windows and the ground floor garden. 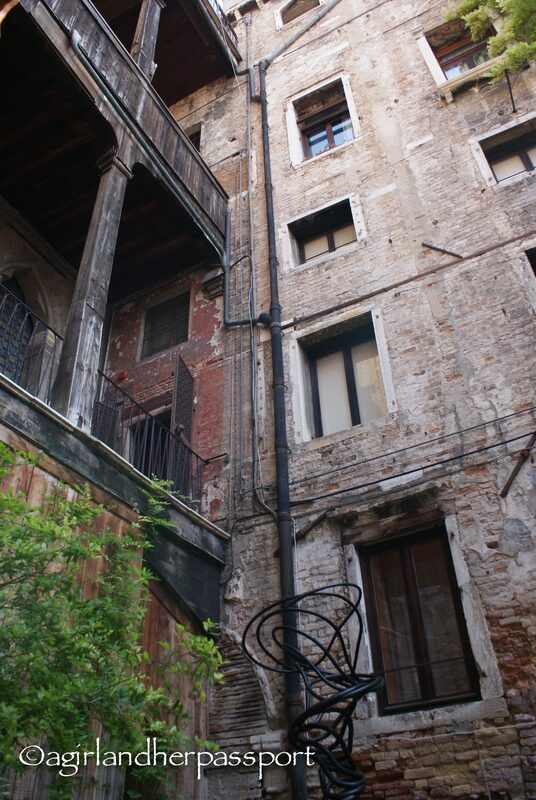 So if you are planning a visit to Venice before the end of November, then run to the Museo Fortuny so you don’t miss the current exhibition. 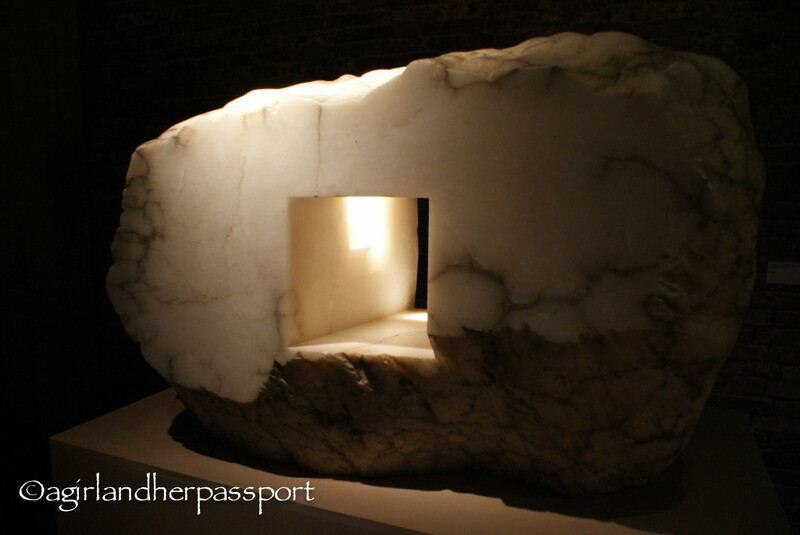 Then make your way of over to the Venice Biennale. You can see some of my favorite pieces from that exhibition in this post. 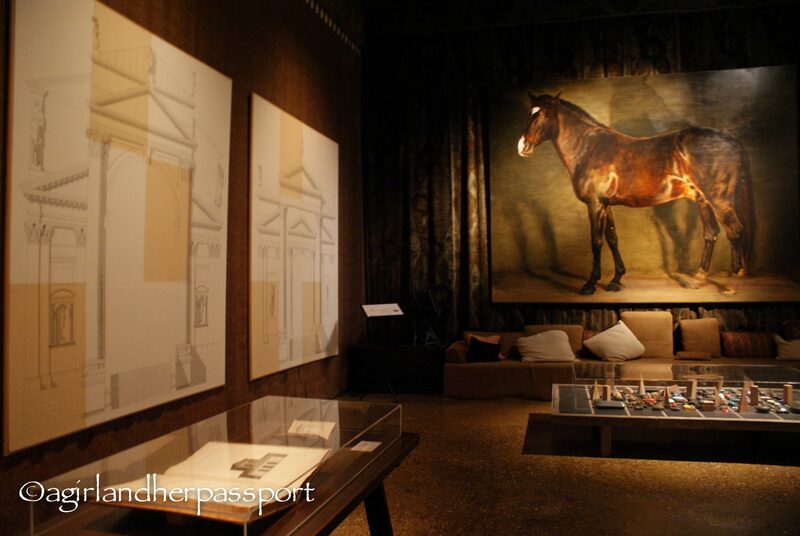 Have you been to the Museo Fortuny? What was showing when you went?